The Deluxe Fold Down 3 Bike Carrier is a fantastic bike rack to have especially for larger or hatch back cars. The Deluxe Fold Down 3 Bike Carrier is a fantastic bike rack to have especially for larger or hatch back cars. 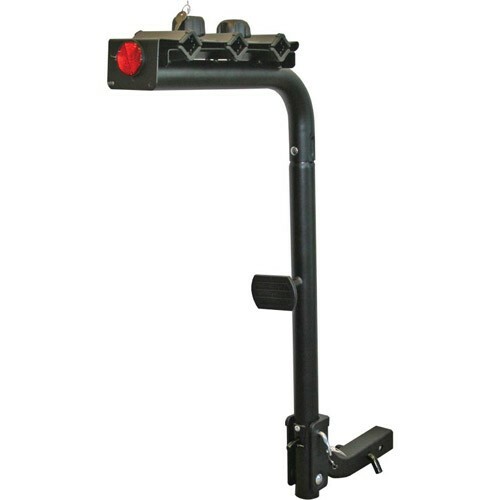 This deluxe 3 bike carrier includes a key-lock turn down knob to protect the bikes from theft and a reflector for safety! It also has a locking pin and release lever to allow the carrier to quickly fold down to access the rear hatch back or trunk of your car! - Hitch size is 2"